A wide variety of indoor playground slides just for sale! If you have visited any indoor playground before, you may have already seen many kinds of commercial indoor playground slide designs. Usually, those slides are made into different shapes and colors to be more attractive. Hence, you can always see many children waiting in a long line for the slides. Exactly, sliding down the slide easily bring children exhilaration of fun. In general speaking, children are always fearless and thrill-seeking while they are exploring the surroundings of the indoor playground. With the help of safety guidelines, as well as the supervision, children can really enjoy their time with the indoor playground slides safely. They can truly go through a sudden rush of excitement and adrenalin, while they can still stay safe. If you want to find a reliable and fun commercial indoor slide, then, Wonka playground has a variety of indoor playground slides for sale. You can look through the following list to acquire some basic information about slides. Open Bed Slides: Toddlers love to slide down such an adorable side. While the younger children are sliding, parents, guardians, and older siblings can become a part of that experience. Alternatively, these slides are designed to be extremely low to the ground. So, toddlers can have plenty of space to look around while sliding. Moms can stay right in the action when kids slide down the 2’ tall slide. Children who want to play this slide may have to meet some restrictions first. For instance, children who are 6’ to 24’ tall and higher, will be allowed to enjoy the spiral slides. Actually, these indoor slides have combined the excitement with the durable plastic material. Also, this kind of indoor slides have the true spiral helical elbows to give kids a smooth, fast and fun experience. They offer kids thrilling experiences with tight turns and corners. Having bright colors, the wave slides can allow the child to slide in groups at the same time. Because this kind of commercial slide has several slides combined together. If you want to incorporate fun slides to your indoor play park, then, you can choose this classic, wavy slide. Combo spiral slides usually have two different designs, which refers to double helix and intertwined. Family fun centers shouldn’t miss out the chance to provide kids with this indoor slide. While they are sliding down the slide, intertwined spiral or helix-shaped slides enable children to listen to each other’s fun. Also, kids can have a competition with each other to see who is the fastest. Differ from the classic indoor slides, curved slides have L-shaped and J-shaped. With such a unique shape, kids can experience another twist compared to classic slides. Alternatively, this indoor slide will have a wide variety of lengths and heights to provide different experiences for kids. Also, this characteristic help gets its mainstay among the indoor playground equipment. This indoor play slide will add more excitement if given enough spaces. That will depend on your specific indoor playground plans. Compared to the traditional slides, Hump Slides can offer kids an exhilarating twist by larger tubes. If you are looking for some unique indoor slides, not like others, then you can turn to Wonka playground for help. Based on your indoor playground size, we can offer custom design for you. Still, we have the manufacturing capability to guarantee such a specialized design. With the superb capability of designing and manufacturing, we can offer you all kinds of slides. For example, a more accessible slide, a themed piece of play equipment, or a combination of slides. 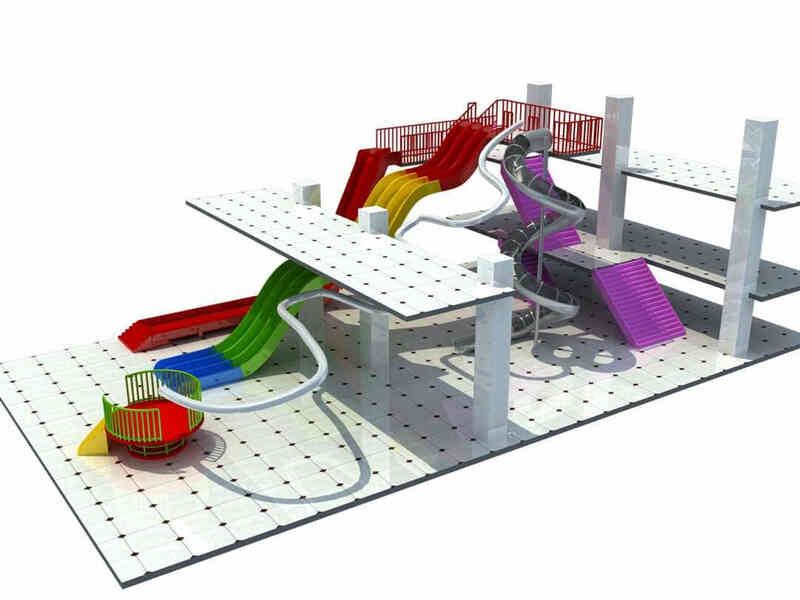 Wonka playground utilizes durable materials to produce reliable commercial indoor slides. Hence, children of various weight can slide without fear of major injury. Also, the colorful and bright outer will appeal to the tactual, as well as visual senses for lasting fun. Besides these, the high-caliber materials used in the production process will also look their best after suffering hundreds of climbing and sliding down. Whether the bed slides or the tube slides for indoor playgrounds, you can find them all in Wonka Playground. Come in to see how many indoor playground slides we have for sale! And you may find just the one you have been looking for. This entry was posted in blog and tagged adventure indoor playground, indoor playground equipment.